The Rock and Roll | Smart 2 and Road Machine | Smart 2 are compatible with more devices and apps than ever. 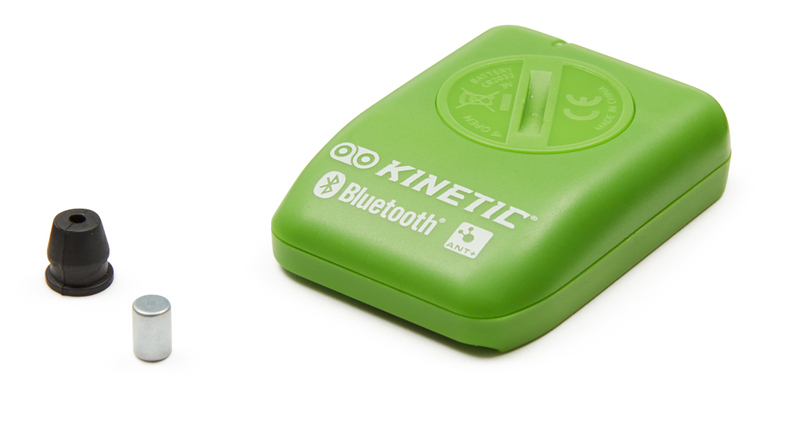 June 26, 2018 - Minneapolis, Minn. – Minneapolis-based Kinetic today announced the launch of its new Kinetic Smart 2 fluid smart trainers featuring updated inRide 3 Power Sensor technology with ANT+™ and Bluetooth® communication protocols. The lineup includes the Road Machine – Smart 2 and the Rock and Roll – Smart 2, the world’s only free-moving bicycle trainer. The inRide 3 Power Sensor is sold separately as an upgrade accessory for existing Kinetic fluid trainers. Each new model features Kinetic’s patented fluid-resistance unit and a new inRide 3 Power Sensor. The updated inRide 3 Power Sensor is green and features a new dual-band chip that in addition to being able to pair with training software on phones and tablets, will also pair with cycling head units and software run on a PC or a Mac and allow customers to connect with virtually any training app. Like all Kinetic trainers, each new model also works with virtually any bike, including those with thru-axles, internally-geared hubs and wheels as small as 16 inches with an adapter kit. Kinetic Smart 2 models include a lifetime frame warranty and a two-year inRide Power Sensor warranty. Kinetic provides a free 1-month Smart subscription for the Kinetic Fit power-training app with any inRide or Smart 2 trainer purchase. Featuring video integration and personalized power training, Riders from beginner to pro can choose from more than 200 individual workouts and 28 specific training plans designed by professional coaches. The new Smart 2 trainers are available now for pre-order for distributors and retailers and are scheduled to arrive in stores beginning in late August.